A family vacation in a place full of casinos seems like a crazy idea, so why do families continue to spend their holidays in a city like Las Vegas? It’s true that Las Vegas is a popular hot spot for adults, but what many people don’t realize is that it also has plenty of kid friendly attractions on and off the strip. Transforming a casino hotel into a family friendly entertainment complex seems a bit counterintuitive, but the truth is that a significant percentage of travelers have kids, and families are key for hotels to maximize their non-gaming revenues. Numerous casino resorts have had to rebrand themselves in order to address the needs for different types of consumers by supplying various forms of entertainment. As Intercasino explains, “Live casinos usually have a festive and pretty active atmosphere. This usually keeps the gamblers and the people inside awake, although it could be pretty distracting.” The fun and festive atmosphere has had to be carried outside the casino, and this has given birth to some truly innovative ideas. As such, Las Vegas’ casinos, hotels in the area have done their part to accommodate children’s needs, providing them with game rooms, kid friendly pools, special meals, and supervised activities. Truthfully, they’ve done an excellent job in making sure that everyone in the family has a good time, particularly the ones mentioned below. Possibly one of the best casino resorts for your family to make yourselves at home in, Red Rock is truly a playground for kids and adults alike. 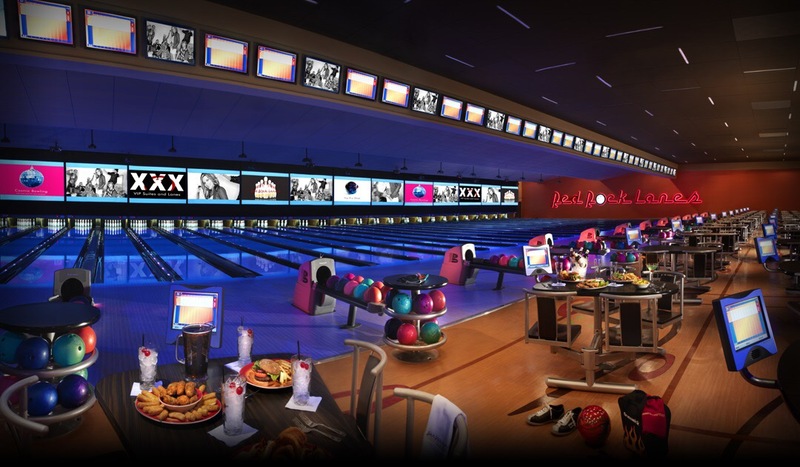 It’s conveniently located off the noisy strip, which takes your family away from all the chaos while having a mini tournament in the 72-lane bowling alley, or taking it easy with a screening at the Regal Cinema. If you feel like visiting the casino for a bit, consider leaving your children at the supervised play area called Kids Quest, where they can try their luck at climbing maze the reaches the ceiling. The sophisticated architecture of the Venetian makes it possible for you and your family to lose yourselves in Venice without being in Italy. It’s not widely known as a family resort, but the Venetian has a multitude of amenities that work as entertainment for adults and kids, such as the gondola rides that your children can ride for free. There’s also a pool deck on the fourth level, with one of the pools just a bit over a foot deep and protected by shade, letting your little ones have a good time in the water while being safe. If your kids are a bit older, be sure to take them to Madame Tussauds in the Grand Canal Shoppes. 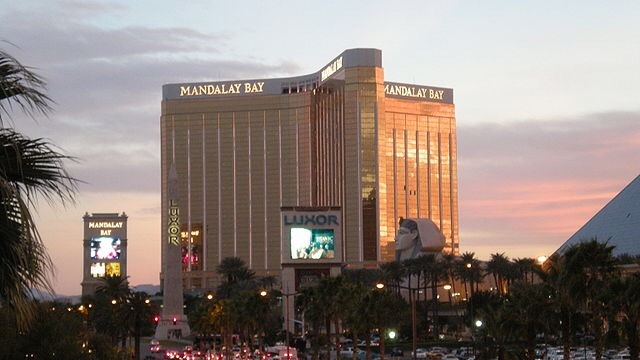 For some fun in the sun, there’s no better place to stay at than the Mandalay Bay Resort. The hotel is surrounded by a “beach” made with real sand, and you can choose to relax on the shoreline or coast along the lazy river. If your kids are feeling a bit adventurous, the beach also has three swimming pools as well as a wave pool. After making a few splashes in the pool, dive into the deep sea with the sharks and other sea creatures of the Shark Reef Aquarium. Older kids will undoubtedly revel in the thrills of New York New York Hotel. Let them strap onto their seats on the casino’s signature attraction, the rollercoaster, and have them soar through loops and drops at 67 mph. They’ll love the entertainment options inside as well, since the hotel houses one the biggest arcades in the city. Daphne King is a mother of an 10-year-old girl and a 5-year-old boy from Brisbane, Australia. Her passion for travel stems from childhood memories of her parents flying her around the world. She and her husband try to go on new family adventures twice a year now that they have children of their own. Nice to know as some of the smaller casinos won’t let them anywhere near the place. Vegas and the surrounding area can be a fun city for people of all ages.